Pain and suffering: two things I can say with a great deal of confidence we human beings each strive with desperation to avoid. We engage in one activity after another designed with the express intent of guarding ourselves from the discomfort and anguish that result from–well–living. Sure there are those of us who are somewhat masochistic in our approach to life, but that’s a discussion for another day. Today I’m pondering the inevitability of agony of our existence and how we each assimilate it; how we absorb the pain and move forward in a very human attempt to endure and to heal. As I sit here in the very early hours of the ninth anniversary of 9/11, my thoughts have led me to this place of analyzing the progression of our human souls as we run the harrowing gauntlet of life. Mulling it over in my tired brain has led me to wonder a lot over this question of healing; of mending broken hearts and restoring hope that so often is elusive. About the time I was in the ninth grade, I picked up a book and read it cover to cover in record time. It would forever impact my attitude and play a major role in shaping my perspective, even now. The book was Viktor Frankl’s “Man’s Search for Meaning.” If you have not read it, you must. It is that life-altering. No hyperbole here. Frankl, an Austrian-born neurologist and psychiatrist, served as a pioneer in the burgeoning field of psychotherapy. His major contribution there being the founding of the psychiatric field of logotherapy. In an attempt to refrain from boring all my non-nerd readers (as I myself am a nerd) I’ll not delve too far into the explanation of this form of psychotherapy except to say it was existential in nature. 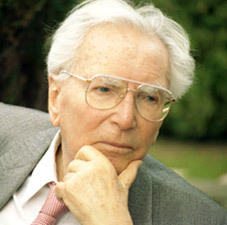 Essentially Frankl believed that all things–even those of a grossly negative nature–bore meaning and that, upon analysis, we could each find something of substance and meaning in everything from daily minutia to the more sordid realities of life; that purpose could be shrouded in even the darkest of life’s rifts. His philosophy illustrates how we can, both individually and collectively, endure some trauma and take from it something of such overwhelming significance that it can bolster us to a place of enlightened ability. That we can create a momentum that promises to carry us to a more positive place with nothing more than a handful of bad memories and traumatic burdens, is refreshing and perhaps, at times, more than a little daunting. But, wait. It gets better. Well the story doesn’t. It actually gets worse– a lot worse. But where it leads us, now that’s a place we want to be. You see, Frankl’s words garner a greater consequence as we discover the path his life would follow. Frankl, his parents and his wife would all find themselves prisoners of Thereseinstadt Concentration Camp and later Auschwitz. So yes, things did get worse. He wound up watching as his wife, mother and father die while captives of the Nazis. Despite the grueling nature of his years of bouncing from one concentration camp to another and watching first hand the atrocities of the holocaust, Viktor developed some really effective and highly-creative coping mechanisms. Among them was giving lectures on psychiatry to imaginary groups of people. You can laugh (let’s face it: the imagery is amusing) but in an environment steeped in suffering and despair, he forged an opportunity for growth by way of a positive diversion. He was also called upon council the incoming prisoners, aiding them in coping with the grief and stress of their new circumstance. He set up a suicide watch and worked one-on-0ne with the inmates who found themselves most ravaged by the despair of their situation. He took arguably the most devastating of emotional and physical conditions and utilized it as an opportunity for growth and enlightenment. Understanding his circumstances lends greater credibility to his personal theology; how it gives his words greater resonance. “The salvation of man is through love and in love.” Words to live by. Because I honestly think everyone can benefit from reading this amazing book, here’s the Amazon link. I would love to read your comments regarding your own experience reading it!